Remember the time Matt Damon unexpectedly popped up in that movie? When a big actor stars in a movie you can be certain they want you to know about it. 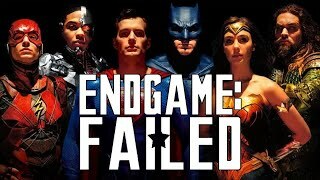 With their face emblazoned on posters, buses and internet ads and their name pushed more than the person who actually brought the whole project into existence you can't help but know the cast of a big film before buying a ticket. Which makes it incredibly exciting when you're watching a movie and out of nowhere an A-list face pops up, causing everyone in the audience to siaulatantiously utter "wait, that guy's in this?" Why this happens is normally for one of two reasons - one creative, one financial. The former, more exciting, case is when it's being done to provide the audience with a shock, be it for comedic or general excitement purposes. The latter is born from that getting an actor to star in a film is more than just having them turn up on set on the day; it requires reams of paperwork and, in the case of big stars, truck-loads of money. To get around all this, an uncredited (and thus unpromoted) role is often ideal. Come along and take a look at ten actors who starred in big movies, but kept it all a secret. 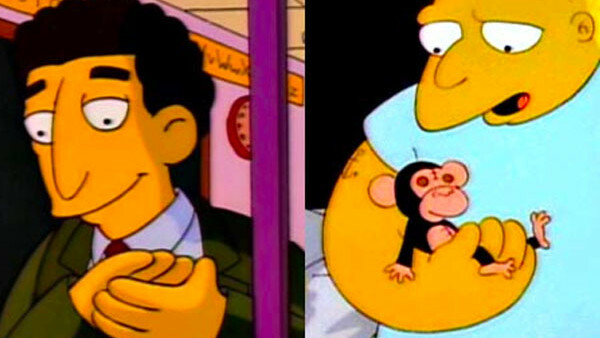 The Simpsons has had some impressive guest stars in its time. And some confusing ones; Mr Bergstrom, the substitute teacher Lisa develops a crush on, was voiced by Sam Etic, while Leon Kompowsky, the mental patient who thinks he is (and sounds very much like) Michael Jackson, was played by John Jay Smith. Obviously the voice actors were Dustin Hoffman and Michael Jackson, but due to contractual reasons neither was allowed to work on the show, appearing under flimsy aliases. It's not in movies, but still another interesting case of actors hiding some memorable roles.